Pearl jewellery is popular with old and young alike, from the most classic and demure designs, to the bold and contemporary. Here, at The Earring Collection, we have many wonderful pieces that feature pearls of all shapes and sizes in a range of styles. 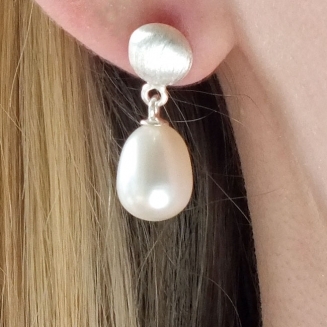 A superb Baroque Pearl set in hallmarked sterling silver. A one off piece. Pearls are formed when some foreign matter enters a mollusc or oyster. The animal protects itself by covering the irritant with layers of cells known as 'nacre'. These layers build up and this is what forms the pearl. This can happen (infrequently) naturally, or the irritant, often in the form of a small bead or piece of shell is introduced by a person. When human intervention is involved, the pearl is 'cultured'. The characteristics that affect the value of pearls include the size, shape and surface quality. 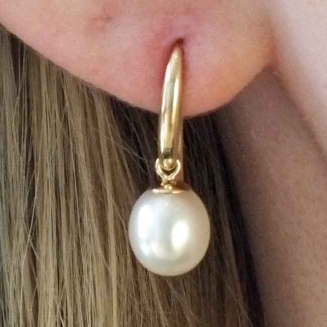 Larger pearls are more rare and take longer to grow. 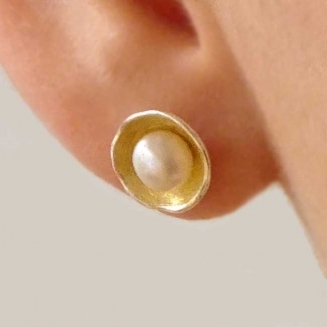 Regular shaped pearls tend to be more desirable and this is reflected in their price. Likewise, a uniformly smooth surface is sought after. 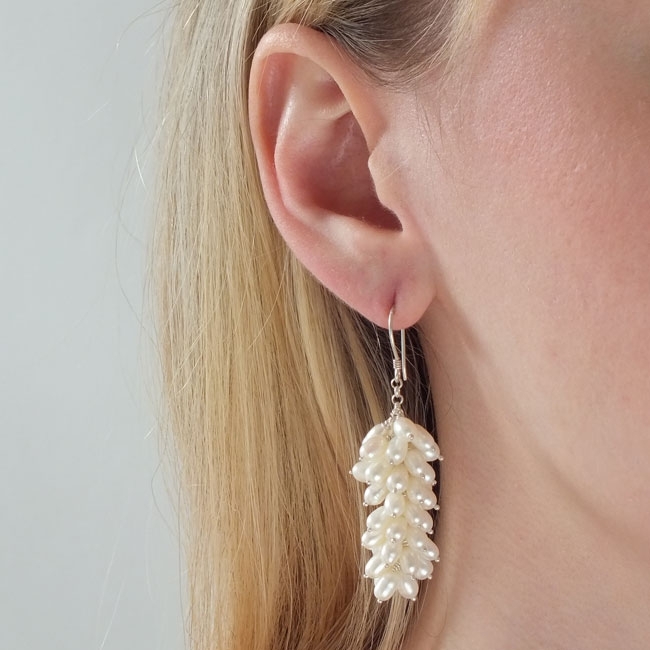 "Pearl Cloud", a pretty and dramatic cloud of freshwater pearls on sterling silver ear wires. There are a great variety of colours and shapes of freshwater pearls. These are grown in freshwater mussels. Farms are situated in lakes, rivers and ponds, predominantly in China and Japan. Size can range from one or two millimetres to fifteen millimetres, or even larger. Each mollusc can produce multiple pearls and this makes the pearls affordable. Akoya pearls are grown in saltwater conditions. A small bead is introduced into the shell of an oyster and the layers build up around this, giving the pearl a regular spherical shape. Only one or two pearls are formed in each shell and the process can take a few years. This is reflected in the price of the pearls produced this way, but also in the regular shape and surface quality of the pearls. Tahitian pearls are produced in and around the islands of French Polynesia, grown in Black Lipped molluscs. They are renowned for their intense colour, ranging from grey, through to green and black and their superb lustre. 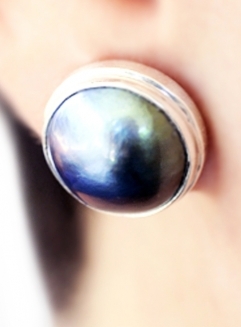 A lustrous Tahitian pearl set in sterling silver. South Sea pearls tend to be the largest, ranging from eight to twenty millimetres, each one taking around four years to grow. The colours range from white to silver and gold. They too have a intense lustre, making them highly desirable and therefore relatively costly. Pearls have been valued throughout history. They were sought after in ancient China and India and in Ancient Roman culture only high ranking citizens were allowed to wear them. Pearls were first cultured in China in the twelfth century. Please call our lovely boutique on 01983 243055 for more information. In folklore they are associated with the moon, purity and femininity. They are one of the birthstones associated with the month of June and the zodiac sign of Cancer and are a popular choice for bridal jewellery.They have also been considered to having healing properties in some traditions. 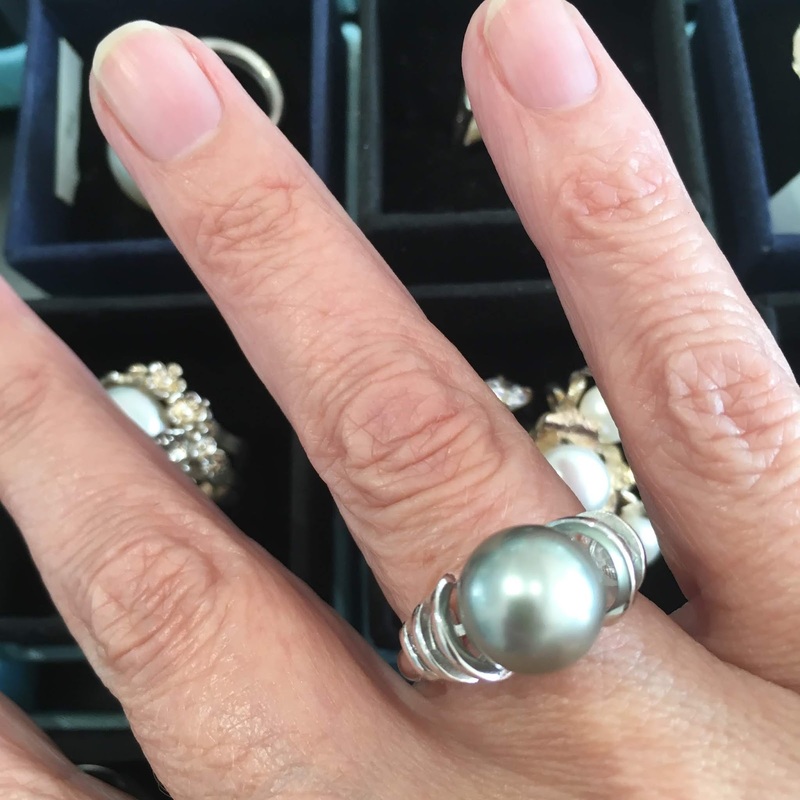 Pearls are best kept away from soap, perfume, detergent and hairspray and should be cleaned using a soft damp cloth after each wear. It is a good idea to store them flat in a protective bag.